Revised and fingered by Max Vogrich. Czerny - a pupil of Beethoven and subsequent teacher of Thalberg, Liszt and Stephen Heller is famed through his pedagogical works for piano. 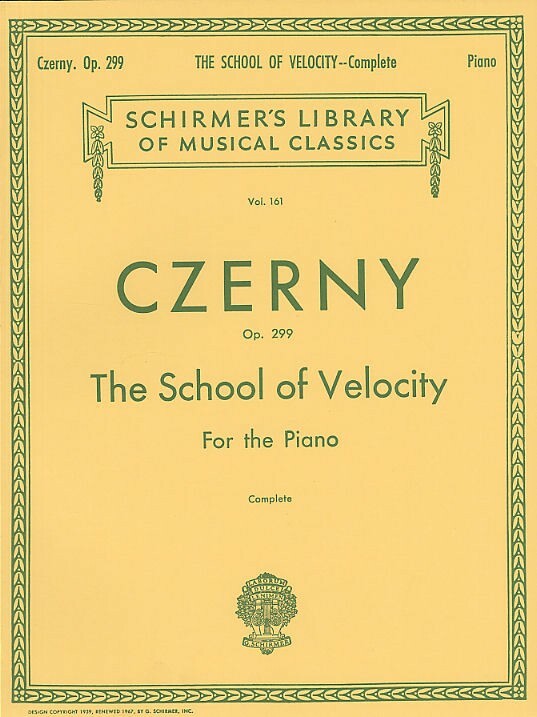 Here, the School Of Velocity on the Pianoforte is ideal for individual pianists of intermediate to advanced standard to improve their finger technique. The exercises begin at an intermediate level and rapidly progress to advanced level.